Who says dinosaurs get all the attention? 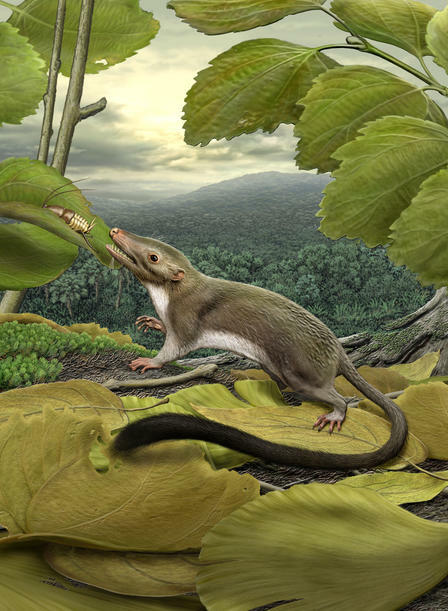 One of the big front-page science stories of the last few weeks is that a global team of researchers has mapped our ancestor tree back in time to a hypothetical small, furry critter that emerged just after the dinosaurs went extinct. The big news is that through a giant high-tech, data-crunching technique, 15-20 molecular-data scientists collaborating in six countries around the world figured out that the hypothetical ancestor to nearly all the mammals alive today emerged 200,000 to 400,000 years after the comet crashed to Earth 65 million years ago. Ok, it wasn’t the first mammal (the ancestor to platypuses, opossums, kangaroos, and a lot of other extinct things came much earlier), but let’s applaud the American Natural History Museum for telling this story so clearly to a writer at The New York Times that it made it to the front page. Column on AMNH Fourth Floor exhibit space that marks the spot where the virtual critter emerged along the evolutionary pathway in the Hall of Primitive Mammals. Great job, AMNH and Stony Brook storytellers for giving us this video view into deep time, showing how MorphoBank crunches data, and creating another social-media star out of a virtual ball of fur. PS: The fossil background talent in this video appears to be a model of Gobiconodon, an actual Cretaceous mammal from 110 million years ago who’s not directly related to the star of this show, but looks good on camera. 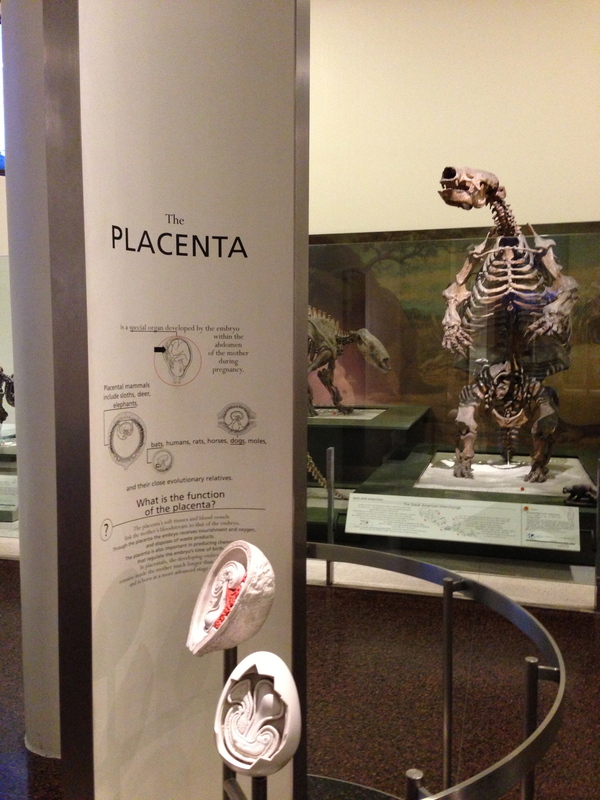 This entry was posted in Museums, Nature, Social Media, Technology and tagged dinosaur, fossil, museums, nature, science, social media, video by mssusanb. Bookmark the permalink. Thanks Ms. Susan B. for another insightful and entertaining article! You’re welcomed! I thought you might like to see some of your mammal friends get some cred! And AMNH is just about to launch a big, new show on whales that was brought over from that great museum in New Zealand! You should bring some of your whales over to see it…ooops, they’re too big to fit into a plane!